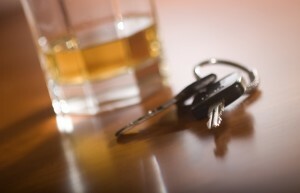 blog home DUI What Is an Ignition Interlock Device and How Can it Affect You? What Is an Ignition Interlock Device and How Can it Affect You? Under California law, it is possible that a person convicted of driving under the influence of alcohol (DUI) can be mandated to install an ignition interlock device (IID) in his or her vehicle. Even a first time DUI conviction can result in a mandatory IID, however, defendants found with a blood alcohol content (BAC) of more than 0.15 percent are more likely to face this penalty. A small electronic device installed on the dash of the car will require drivers to provide a breath sample. After blowing into the device, the driver’s blood alcohol content will be read. If he or she has a BAC greater than the allowed level, often around 0.03 percent, the car will not be able to start. Additionally, a breath test may be needed once again while driving. These records will be regularly submitted to the court in order to see if the driver is obeying the court mandated regulations. While defendants convicted of drunk driving will have to pay a variety of fees, they will also have to pay for all costs related to the interlock device. Installation typically costs anywhere from $50 to $200, although this could cost more if the vehicle design makes installation more difficult. Additionally, drivers will have to pay a rental fee every month costing up to $100, as well as other fees for maintenance and calibration, typically every 60 days, as well as downloading the data from the IID. Depending on the length of time that the device needs to be in the car, the total cost could be more than $1,000. Compared to other DUI punishments, interlock devices give defendants a chance to continue living a normal life. However, serious fines, jail time, and loss of driver’s license can cause major disruption in both personal and professional relationships. If you or a loved one are facing drunk driving charges, do not delay in contacting a skilled drunk driving defense lawyer. At The Law Firm of Joseph H. Low IV, clients can have their privileges preserved and their well being kept intact. To learn more, contact us online or call our office at (888) 454-5569.